Happy February! We have many exciting updates for you. – Since our consignment shop is no longer functioning, we need artists to come and collect their work. We are actively renovating the space and need to clear everything out as quickly as possible so that we can get our new resources ready. Shoot us an e-mail or stop by our 222 W. 2nd Street location for more information and to pick up your art. – You should have all received an e-mail about teaching a summer class. Please read it and apply! – Our regular classes, Cookies and Canvas and Sip and Sketch, are happening as scheduled for February, so check our events page online for more information. We hope to see you there! – Turn your old wine bottle into the perfect art piece for your coffee table at Cardinal Spirits on Saturday, February 23. Recycling and being resourceful has never been so fun! – Think your house needs more flowers? Stop by the Pourhouse Cafe on Friday, February 15, order a cozy hot chocolate, and learn to decorate your own beautiful plant hanger. – Our 2nd Art Happy Hour will be taking place on February 22 at the Woodshop, a section of the Upland Brewery. 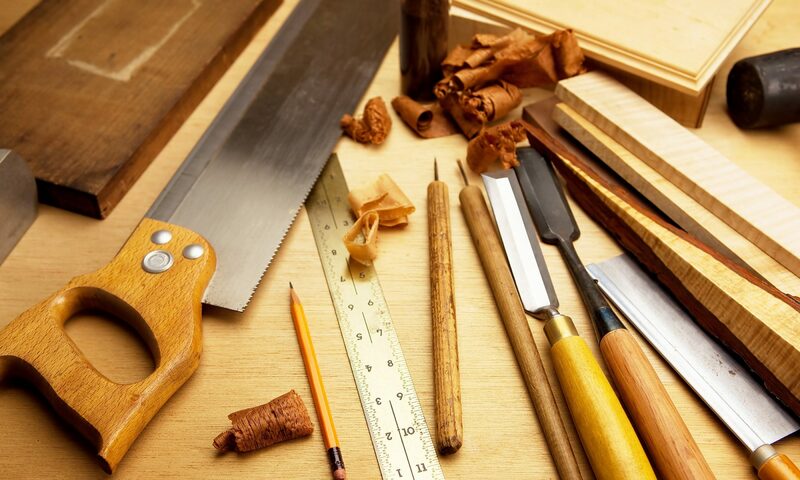 Enjoy a drink and learn to work with wood, nails, and wire. – To celebrate Valentine’s Day, MADE will be hosting Cupid’s Romantic Photo Booth from February 9-14. Come take cute photos and drop donations inside Cupid’s Heart Box. – Our exhibition series this month is called Night Comes On Gently, five artists’ celebration and interpretation of the African American Diaspora expression. Check it out! – Our Art or Die fundraiser was a smashing success, as we sold every piece we put up for auction and raised well over $100. Thank you for everyone who attended! – Our new space is up and running! We’ve added computers, lounge areas, and video game consoles, and are in the process of getting a wall TV. Come hang out and relax. Amber would consider herself more of a creator than an artist. She prides herself in trying to explore her creativity through all kinds of mediums. The pieces she has provided for this month’s feature of the month are collages made with 100% recycled paper from Bloomington’s newspapers and city programs and intricately beaded earrings. If you search within the collages, you will find bits and pieces that are a reflection of Bloomington’s artistic spirit. Through her work and businesses, she hopes to influence others to let down their guard and explore their creative and entrepreneurial abilities.